As a charitable trust, Rhino Ark depends on the support of well-wishers who share our vision, mission and passion. Besides financial donations, we therefore invite people to contribute in any other way they can by learning about our work and sharing what they learn with the world. Rhino Ark is a charitable trust and our success in developing sustainable solutions to the threats facing mountain forest ecosystems in Kenya is anchored in the support we get from donors. We would like you to be part of our mission and success. 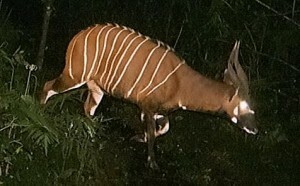 The Eastern Mountain Bongo Antelope is a critically endangered species with their remnant population thought to be below 100! The bongo, which is only found in Kenya, is known for extreme shyness and exceptionally good hearing – two characteristics that make it so difficult to track that even the photo featured here was taken using a trap camera. Mike Prettejohn founded the Bongo Surveillance Programme (BSP) in 2004 to protect and investigate the status of the remaining wild Bongo. 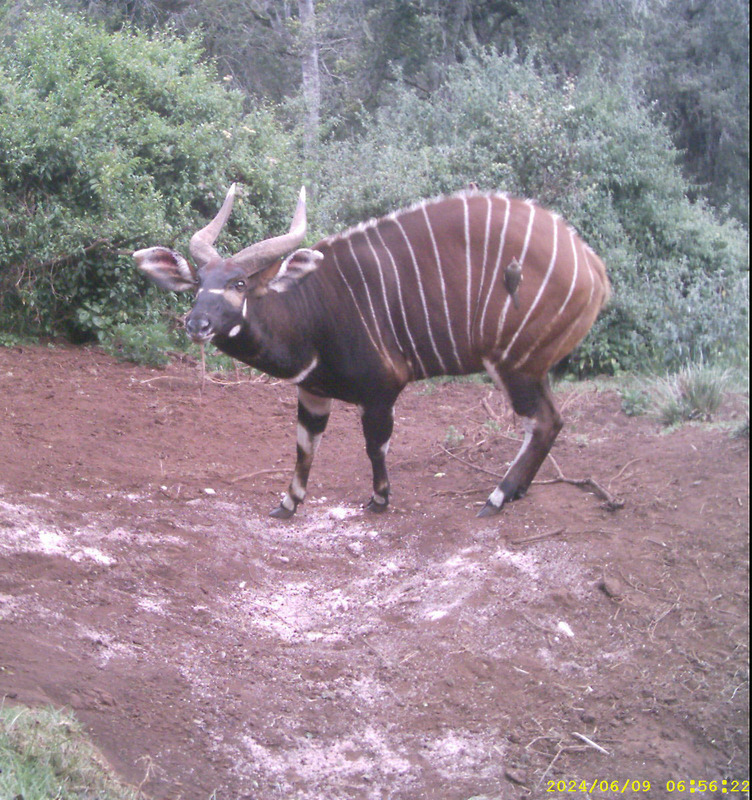 Together with a team of scouts, he has confirmed the existence of pockets of bongo populations in the Aberdares, Mt. Kenya and Mau ecosystems. Rhino Ark supports BSP by providing funding and logistical support. Find out more at www.mountainbongo.org.